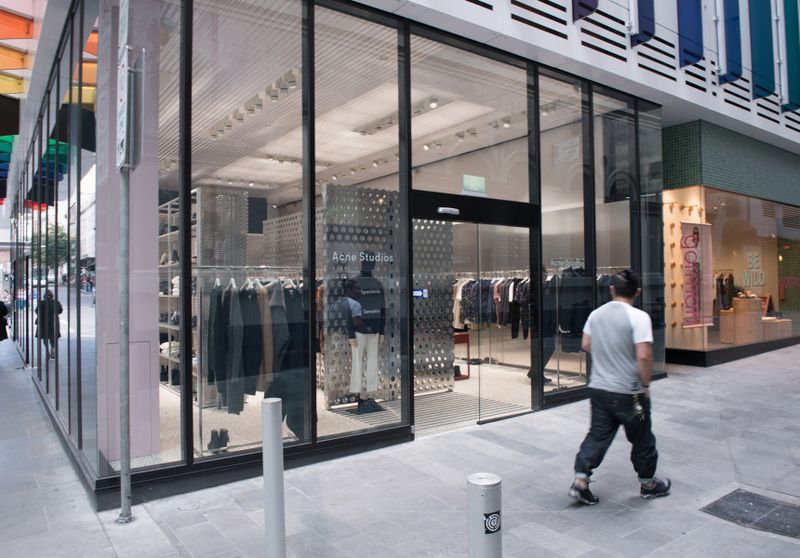 With stores in more than a dozen countries, ACNE’s particular brand of cool transcends language. Swede Johnny Johansson started the company in 1996. 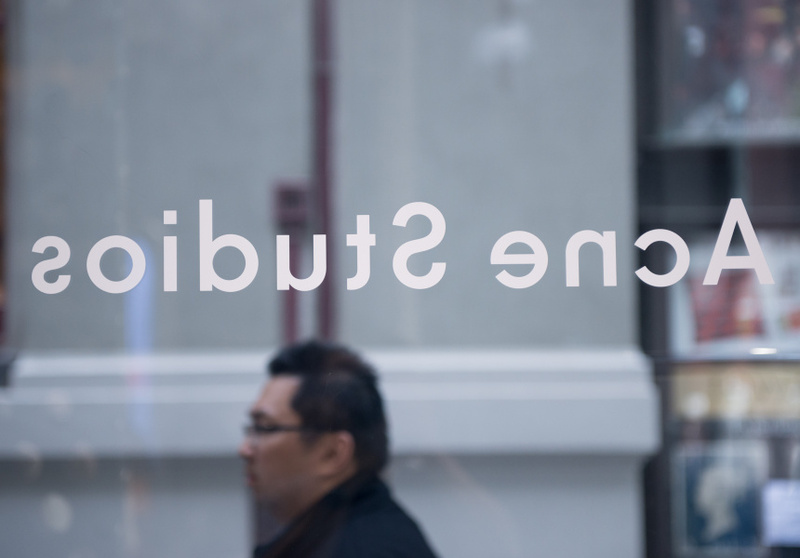 It stands for Ambition to Create Novel Expression – a philosophy the brand has stayed true to. The label emphasises sharp shapes and clean lines. It got its start in denim, and that’s what it remains well known for. But it has also moved into high quality leather goods, footwear and knits. ACNE’s ability to walk the line between the eccentric and the basic is the brand’s real forte. Modern without being trend-driven, lasting without being boring, ACNE has achieved a balance that has sustained the brand for decades. There’s a classicism to its stark designs that’s difficult to define, but which is instantly recognisable. The stores themselves are minimal and chic. 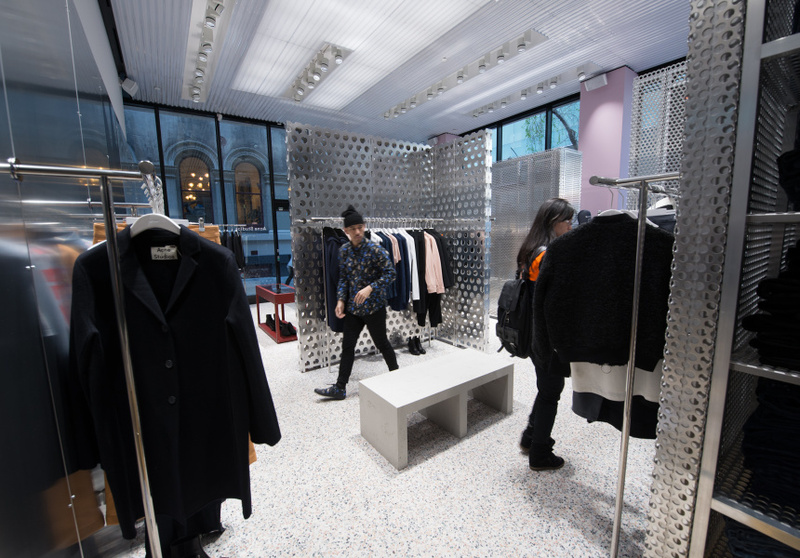 The flagship on Elizabeth Street sports hole-punched chrome dividers and items that hang sparingly throughout the store. While prices are high, so is the quality. Purchases made here will stand the test of time.